With over 1 million downloads within first day of release, the Old School RuneScape mobile game reached the top ten in countries like USA, Canada, Australia, Netherlands, and Scandinavia. Old School RuneScape, aka OSRS or RS2007, is available for iOS devices running 10.0 or above, and Android 5.0 or above. 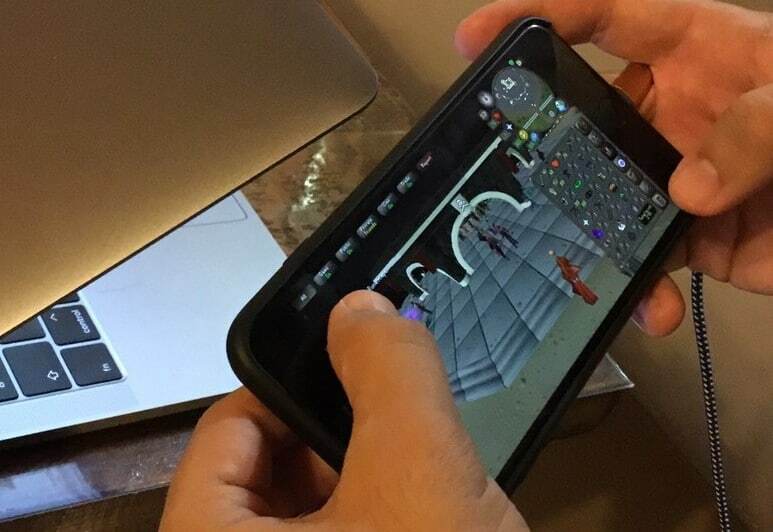 With the help of OSRS mobile the game got 1 million new players on top of the more than 1 million existing OSRS game subscribers already playing the old school MMO. That took RuneScape to its highest ever daily average user figure in five years. Old School RuneScape is the first PC game that transfers its members subscription to mobile, like other subscription-based mobile entertainment applications do. Since its launch in 2001, RuneScape game has brought in almost a billion dollars, and counting. This entry was posted in Latest OSRS News, Old School RuneScape, OSRS Mobile App and tagged buy oldschool runescape gold, cheap OSRS gold, Old School RuneScape application, OSRS mobile app, sell rs2007 gold. Bookmark the permalink.